A consortium between Colas Rail (70 per cent) and Alstom (30 per cent) has secured a contract worth €155 million for track and catenary of the south-east section of the planned Line 15 of the Grand Paris Express. 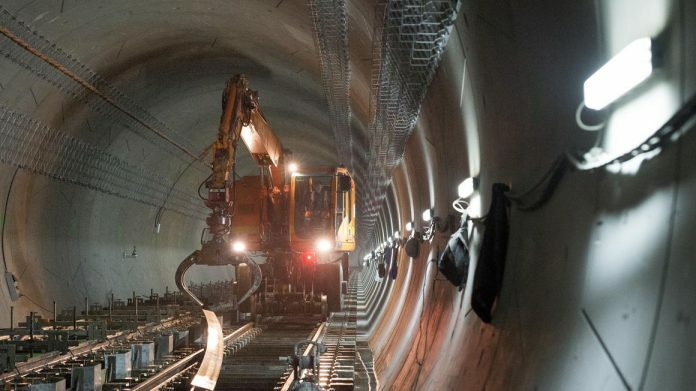 The contract includes the construction of 17km of metro line serving eight stations – from Noisy-Champs to Vitry-sur-Seine – as well as the maintenance and storage site in Champigny-sur-Marne. The pair are responsible for project management, studies, supply, execution of works and tests for the railway, rigid catenary and linear equipment. Colas Rail president Francis Grass said: “I would like to thank the Société du Grand Paris for the trust it has placed in Colas Rail by awarding it with this first large-scale project on the Grand Paris Express network.